Most nonprofits get their start with a founder who is passionate about the mission...not the numbers. Here are a few of the common budget blemishes that can result in a grant request blunder. 1. Your budget isn't actually a budget. I may love your mission, but if I'm going to give you $25,000, I want to know you can manage it well, and hopefully multiply its impact through effective fundraising. Unfortunately, when you give me a budget that is simply a list of current revenue and expenses (like below), I lose confidence. I kid you not, I've seen several budgets that were essentially set-up like this. Make sure your budget looks like an actual annual operating budget, not a list of expenses that grows each month. It's a projection of an entire year's worth of revenue and expenses, based on history. 2. You have a big red negative number at the bottom. No matter how much I love the redwoods, I really don't want to dump my money into a swirling drain of demise. Often times, the budgets that are "in the red" are simply a misunderstanding. A budget shouldn't include only the revenue commitments you already have, it should include realistic revenue increases that you are pursuing. Young organizations will likely build new revenue into their budgets year after year until they stabilize. Just because you haven't received the $10,000 donation you need to close the gap yet doesn't mean you aren't going to. If you're projections look like your heading for a major loss or bankruptcy (and, yes, nonprofits go bankrupt all the time), you either need to close your doors or devise a serious action plan for how you are going to course-correct. This should include both serious expense cut-backs and increased revenue strategies. Your budget should reflect realistic projections from those efforts (a lower, less worrisome, red number). 3. You have a positive number at the bottom. Ideally, you should be crafting a zero-based budget. If you have a surplus, give it a name and move it up onto an expense line. If you are purposefully generating a surplus to build reserves (nonprofits should aim for at least 6 months of operating reserves), assign it as such. If I'm a potential grantor, I want to give me money to the organization that needs it, not one that already has more than they know what to do with. Name every dollar based on how you will spend or save it, protecting yourself from the perception that you're running a money-making machine. 4. Your budget doesn't match reality. If you raised $5,000 in individual donations last year, you're probably not going to raise $500,000 this year. And if you have a salary line of $100,000, you better have a corresponding payroll tax/fringe benefits expense line. A budget is a critical management tool that lets you know if you're winning or losing. It should be used as a constant guideline and substantiate your decisions as an executive. If you're budget is missing expected information - like annual insurance premiums, fringe benefits, professional fees (like the CPA for your 990 prep), or utilities, funders will wonder if you really have a grasp on all of your expenses, or if you're just shooting from the last balance on your bank statement. It can be difficult, especially when you're just starting out, to appropriately track and project in-kind revenue/expenses. But if you're mission relies on a hefty influx of in-kind support, your budget should reflect that. Otherwise, your description of your capacity won't match the figures in your budget. For example, many nonprofits receive donated space. Get a letter from your lessor documenting the market value of the space and include that in your budget. Remember that in-kind revenue, such as donated space, volunteer services, or items used in your programs, generates an equal expense. It's a wash. If you need a little help in the budget arena, don't go it alone. Either recruit financial expertise onto your Board or hire a consultant to help you get it right. If you just need a functional template, you can get one here. If you'd rather just send in the figures and come back on Monday with it done, I can also help with that. There's no reason to work in your weaknesses. It doesn't serve you or your mission. Got a budget question? Post it in the comments. Chances are, someone else is wondering the same thing. Utah is in the midst of our annual day of giving, Love Utah, Give Utah. Founded and hosted by the Community Foundation of Utah, 400+ nonprofit organizations are working to score new donors, exposure, and prizes. What factors set apart the winners from the less lucrative campaigns? 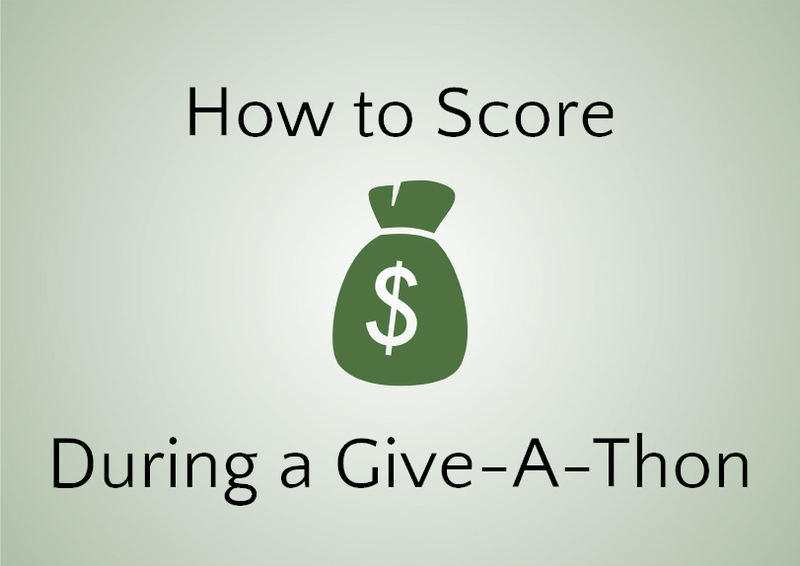 The nonprofits who really stand out during give-a-thons have an established community of fans, both live and online. They don't wait until a week before or the day of the event to blast their mailing list with an appeal. Instead, they curate ongoing communication and opportunities for interaction. Just like on social media, you want to communicate for the purpose of engagement at least five times for every appeal. Lacking this foundational component and its already the day of? You can still improve your results. Some donors have reported having received more than 15 email appeals from different organizations just today. That's a crowded field, especially when you consider the dozens of work-related emails that demand attention. Six relevant organizations teamed up to spread the message at a picnic with donors (Tracy Aviary, HawkWatch, SPLORE, Wildlife Rehabilitation Center of Northern Utah, TreeUtah, and Head Start). At a much higher altitude, a community art and culture organization (Alta Community Enrichment) engaged the final skiers of the season in fundraising. If you can interact in person with community members who are interested in your cause, even strangers who weren't aware that their hobbies or activities aligned with your mission, you'll generate more buzz and potential new donors. Not sure if you can command enough participation to come off as a success? Team up with other organizations who share your donor base. The real trick during a give-a-thon is to convert strangers into fans during the event. This is an incredible feat as people are generally wary of donating to organizations or causes they aren't familiar with. However, if you can generate a lot of momentum and excitement, you are much more likely to attract unfamiliar visitors to your campaign. Consider Noble Horse Sanctuary, a nonprofit that operates on a total budget of $58,000 and has already attracted $9,000+ from 158 donors. This small organization has outraised 197 other small nonprofits (as of 5 PM, there are still 7 hours to go). Their results are so compelling that many of us at the headquarters for the event have talked about their mission, visited their campaign page, and checked out their website. How do you build momentum? Find vocal corporate partners to make matching grants, especially those with a large employee base and an eager marketing team ready to take advantage of the sponsorship. Cultivate scheduled donations early so that you start off at midnight with a bang. Task your evangelists with spreading the message on your behalf throughout the day, multiplying your network reach, online and offline. Don't just communicate at your community. Spur an online Instagram and video campaign to stand out from the crowd and create online interaction. Finally, there is a fearless quality among many of the nonprofits who have capitalized on the day. They volunteered to stand in front of the cameras for the stream-a-thon, they joined in the honk and waves, they asked local celebrities to hold up their sign for a photo opp, and they reached out to real celebrities on social media for a retweet. When it comes to standing out during a free-for-all fundraising campaign, a little bit of an edge helps. Good luck to all the Utah nonprofits and those of you with your own community give-a-thons coming up. If your community or state lacks an annual day of collective philanthropy, team up with your local community foundation and make it happen! I think it's safe to say that the vast majority of mission founders or directors are lacking marketing experience. It's just not a typical precursor to starting an organization to feed the hungry or distribute clean water. But we can all agree that sharing our message is paramount to fulfilling our mission. The more people who care about our cause, and associate us with the solution, the more donors, volunteers, and talented team members available to scale our impact. Marketing is a bit of an intimidating word. It's often associated with advertising, events, radio and television interviews, published articles, and slimy people who launch a lot at bad jokes and drive black BMWs. It's also easy to pigeon-hole ourselves in comparison to bigger, well-funded players. When you're relying on word-of-mouth or a few hundred printed brochures from Vistaprint, those tear-jerking American Cancer Society ads can make anyone feel inadequate. How do you stay grounded in what you do best, while effectively spreading your message, so that you can grow your impact? Following the major earthquake in Japan in 2011, quite a large number of diverse nonprofits put out fundraising campaigns. In looking at those on the crowdfunding platform, Causes, the Japanese Cultural and Community Center of Northern California, a relatively small organization with just over a million in annual revenue, had raised more than $400,000. Comparatively, the American Red Cross, an organization with more than $3 Billion in annual revenue, pulled in $322,540. The most successful mission-driven organizations have built loyal and motivated communities. Social media and online platforms simply provide an efficient (and inexpensive) method to mobilize your community (and their community) around your cause, even if your cause doesn't have cute pictures of babies to post on Facebook. Social media can seem intimidating and ineffective at first. Most companies have tasked low-level interns to post inspirational italicized quotes on backdrops of flowers every few days. A 45-year old banker who regularly gives $20 to various charities loses his 19-year-old son to an accidental overdose. Having previously distanced himself from substance abuse, "those are bad kids whose parents weren't around", suddenly finds himself personally connected to how insidious even a little experimentation can be. He becomes heavily involved over the next year with a local organization that offers prevention, treatment, and support services to his community. The banker and his wife are now donors and volunteers for the cause and the organization is doing a great job engaging them in their mission. The wife connects with the organization via social media and invites her local church group and a dozen of her friends to donate with a few clicks. They do because they know the family well and are equally horrified at the loss of their son, a young man the same age as many of their children. A social media ask is a lot easier to swallow for many of us. There is social approval involved in being associated with a good cause and the visibility of our association online can attract others in our network without even an invite. Many stories are so compelling that they go viral, enlisting thousands of unknown supporters in spreading the message and contributing to the need. You can't duplicate this effect with a direct mail appeal or an event. We don't share the postcard with the hungry kids on the front with our neighbors, coworkers, and family. We also don't often talk about our charitable contributions or affiliations. 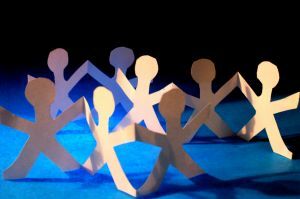 While a case can certainly be made that the older members of our communities may prefer a traditional appeal, on a human level we are all more interested in being part of a community, rather than an address on a list. It's not about the ask, it's about whether you provide a compelling space to interact and connect. Even if you engage on social media with stories, if you lack a genuine community on the ground, the few strangers who retweet you or like your page are likely never going to get more involved than that. Instead of looking for strangers in the dark recesses of the internet, step back and evaluate your genuine followers. You may have a list size in the thousands, but do those people have a real connection to your cause and are you providing opportunities to interact? A few small changes in this realm may make all the difference, with the bonus of social media evangelists praising your work to all of their friends online. Do you remember baby Jessica? It was 1987 in Midland, Texas. An 18-month-old Jessica Morales fell 22 feet down a well just 8 inches wide. Lodged in the pipe for 59 hours, the story drew near-continuous coverage on every major network until the toddler was pulled to safety. The sheer impact of the highly visible and horrifying story of this little girl's ordeal on the American public is quite remarkable. The White House held a reception, ABC made a tv movie, and thousands of donors generated an estimated $700,000 in support. Pew Research ranks her story 8th in media interest over the past 20 years, USA Today identified her as the 22nd most impactful person on our lives, and CNN coverage totaled more than that of the 1994 genocide in Rwanda, where 800,000 people, including many babies, were brutally murdered in just 100 days. That's an average of 8,000 people per DAY. First, random participants were given $5 and offered the opportunity to donate some or all of their newfound money to a charity in response to a food shortage in Africa. Half of the participants received disturbing statistics. The other half received a personal story about a little girl, Rokia: "Your gift will change her life..."
The physical proximity and feeling of kinship you share with the victim. We feel much more for a family member whose home burnt down across the street from ours, as compared to a fire that takes out a village in Angola. How visible and tangible the need is. A picture of a bald, 4-year-old leukemia patient is vivid. A billboard that informs drivers that heart disease is the number one killer of women is not. The faith in your ability to have an impact. We tend to shut down emotionally when we perceive the need to be so large that we cannot do anything of any real value. How Can Causes Learn from the Baby Jessica effect? Stalin historically said, "One man's death is a tragedy, but a million deaths is a statistic." Mother Teresa echoed the sentiment, "If I look at the mass, I will never act. If I look at the one, I will." Find your baby Jessica. If you're lobbying for cleaner air, highlight Jane, who has asthma and missed 24 days of school last year. Connect your medical supply nonprofit to Joe, who received a knee replacement and was able to go back to work. It doesn't have to be a tear-jerker, but your donor needs to relate. Focus on a picture and a story. Seeing the face of your mission immediately makes it more personal. Pair that with a compelling and tangible story about their life, stirring an emotional connection. This isn't about being scammy. Your cause is IMPORTANT. Your work has meaning for people. Communicate that. Drop the statistics. It can be hard to completely delete the fact that there are a million Jessicas out there everyday, but the bigger the problem, the less likely your potential donor will try to help. You have a very limited window to capture their attention; don't turn them off with an impossible task. Empower the donor. Instead of making your donor feel helpless with depressing statistics, show the breadth of the problem by highlighting how many people were helped last year "by donors like you". Take a note from the Save the Children classic where donor could "sponsor" a child and even get updates on them. There's a reason they garner $600M in contributions a year. Make the smallest donation meaningful. Review your website, brochure, social media pages, direct mail appeal letters, fundraising speeches, and any other vehicle for connecting with donors. You'll probably find a lot of statistics and very few pictures of real, genuine people and a clear message of how my $20 can make a lasting difference. Step 1. Invest a day in crafting better messaging and images for your mission and then launch that messaging cohesively across all of your platforms. Step 2: Put methods into place to identify and collect new images and stories from your work to consistently refresh your messaging and empower more donors to have an impact through your organization. If you supply direct service partners, provide an easy process for them to funnel stories and pictures back to you. Even if you are layers away from the impact, find a contact on the frontlines and partner with them to tell the stories of those you help. Don't wait, this is one of those important but not urgent tasks that will forever undermine your fundraising if you don't do it now.